Bonnie first met the three Castro children when she was volunteering for Mentors International in Potreillos, Honduas and boarding with the Castros. Mentors International provides small business loans for people in third world countries. 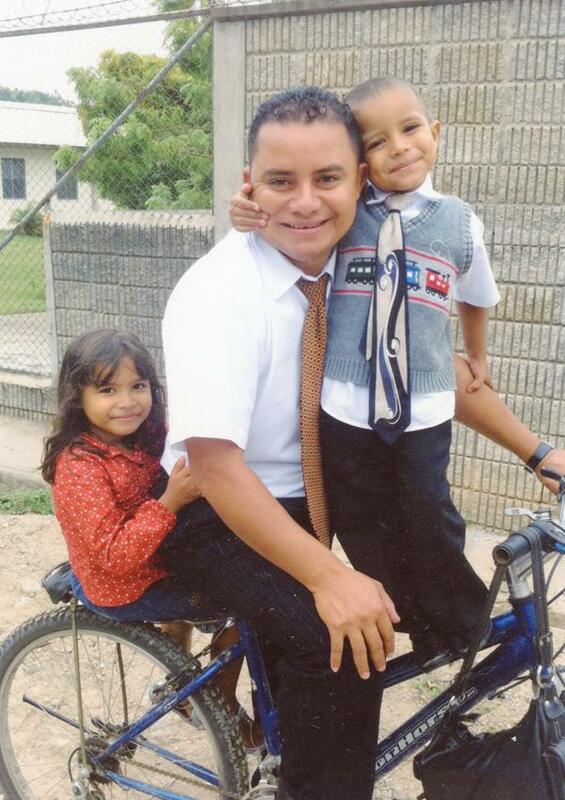 Henry Castro, the father of the Dayen, Lehi, and Genesis Castro. Bonnie worked for Mentors International as a loan officer. Bonnie had recently retired from her business of 35 years and decided she could put to use some of her skills to help mentor these new, young businesses in Honduras. Bonnie loved it. It was so rewarding and she loved getting involved with the people and their various businesses. Bonie was working with pretty basic things such as signage, business cards, and display. She rode around the hot, dusty town of Potreillos on a bike that had two wheels, a lot of rust and no brakes. She had never seen a bike like it. But it got her around. This was the beginning of the Niños de Carlos Foundation, because it was during my time in Porto Rillos that observed first-hand that the Castro kids, and the majority of Honduran children, were not getting a fair shake at education. School was being canceled day after day, week after week. Day after day, the Castro kids would come into my room and say: “No hay escuela,” which means “There’s no school today.” The educational system in Honduras is broken. They are 100 years behind their closest neighbor in education.The textbooks get written but they don’t get distributed. Instead the money gets pocketed and the books sit on docks around the country. Some teachers aren’t being paid at all while others get paid for teaching at two to three different schools but are actually only teaching at one school or not at all. Bonnie learned that the only way Honduran children can get a decent education currently is through private schools and funds. The public sector is currently non-functional and corrupt. The Castro children are all attending private school now, supported by Niños de Carlos for the past three years. They are excelling at learning English and computer literacy. Bonnie looks forward to some day seeing them all graduating from high school and working to improve the situation for other Honduran students.